In most self-defense situations you’ll be forced to wrestle or grapple with your attacker. If you’re serious about learning how to defend yourself, you need to learn the most effective grappling techniques in the world. If you want to burn fat and build lean muscle quickly and efficiently than Kettlebells are the answer! They're a total body exercise that deliver results faster than weights or cardio alone. 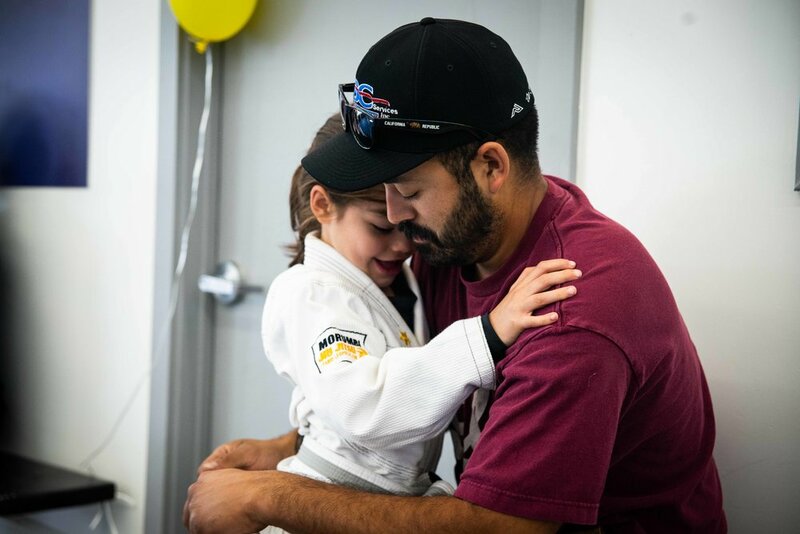 We can help you bully-proof your child by teaching them how to defend themselves using both verbal and Jiu Jitsu techniques. Overcome bullies using leverage and control, instead of punching and kicking. The family that trains together, stays together. New Morumbi Shirts, Sweatshirts & more! Watch us compete at the Pan Jiu-Jitsu IBJJF Championship this weekend! Our Kids Belt Promotion was FUN! Jiu Jitsu is based on applying leverage to weak parts of your opponent’s body. Jiu Jitsu enables anyone, regardless of their size, to effectively defend themselves against larger or stronger opponents. This program safely teaches real-life techniques – not the fake movie stuff, but truly effective techniques that work in and out of the ring. We'll show you how to throw powerful punches, kicks, knees, and elbows to help you get out of any situation! Our program will help your child build confidence, character, and the skills to defend themselves against bullies. Your child will start their journey in our Fundamentals Program. We’ve carefully structured this program so that your child can learn effectively and safely. Results don't come overnight - but they start right away. Soon you’ll see the beginning of a positive transformation in your child. And with continued training, your child will develop a rock-solid foundation for a successful future. It’s no secret – the key to getting good at something is enjoying it. It’s so much easier to stay motivated and train regularly when it’s enjoyable! That’s why we put tremendous effort and attention into making sure that your training at the Morumbi Academy is enjoyable. We’re here to help you succeed. Training is always more fun with friends, but it doesn’t stop there. We enjoy after class activities together too, like beach parties. Exercising with Kettlebells is superior to other types of exercise. It works all your muscles, including your core, so you’ll see faster results. Kettlebells are a great way to burn fat and build lean muscle – much better than exercising with weights or cardio alone.